Washington (CNN) -- President Obama outlined Thursday the intelligence and other government failures leading up to the botched December 25 terror bombing of a U.S.-bound jetliner. The president also detailed a series of major reforms ordered in the wake of the attack. "I will hold my staff, our agencies and the people in them accountable when they fail to perform their responsibilities at the highest levels," Obama said at the White House. But "ultimately, the buck stops with me." America's first line of defense against terrorism is "timely, accurate" intelligence that is properly integrated, Obama said. "That's not what happened" before the attack, he noted. According to authorities, 23-year-old Nigerian national Umar Farouk AbdulMutallab tried to detonate explosives hidden in his underwear as a Northwest Airlines flight from Amsterdam, Netherlands, made its final approach to Detroit, Michigan, on December 25. The device failed to fully detonate, instead setting off a fire at AbdulMutallab's seat. Obama cited three problems that contributed to the government's failure to prevent the attack. First, the intelligence community knew that an al Qaeda affiliate in Yemen intended to strike the United States and was recruiting operatives for the task, the president said. But intelligence operatives "did not aggressively follow up on and prioritize particular streams of intelligence related to a possible attack against the homeland," he noted. Second, there was a "larger failure of analysis, a failure to connect the dots of intelligence that existed across our intelligence community." Third, the intelligence failure contributed to flaws in the country's watch-listing system that resulted in the alleged bomber not being added to the no-fly list. "Rather than a failure to collect or share intelligence, this was a failure to connect and understand the intelligence that we already had," Obama said. His comments mirrored a six-page summary report about his administration's investigation. The report says the United States had "sufficient information" that could have prevented the plot. 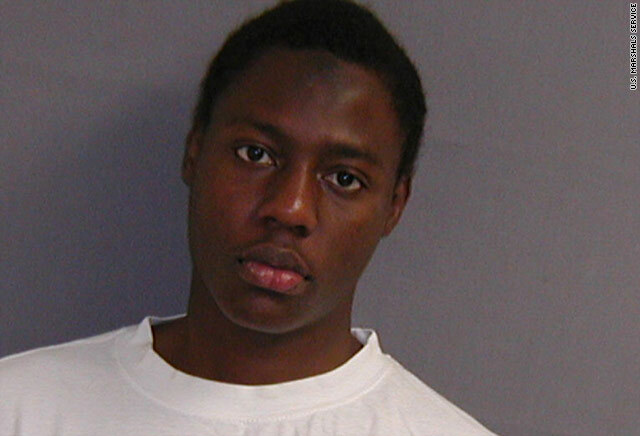 Additionally, American officials could have identified AbdulMutallab as a possible al Qaeda operative, the summary states, and kept him from boarding Northwest Airlines Flight 253. And while the United States knew of plans of an attack, John Brennan, Obama's top homeland security and counterterrorism adviser said they had failed to uncover the actual Christmas Day plot. Brennan said the biggest surprise in the review is that the Yemeni affiliate's (al Qaeda in the Arabian penninsula) "aspirations" to attack the United States had become a real and nearly successful plot. The president also said Thursday he had ordered four key reforms. First, he ordered the intelligence community to assign specific responsibility to individuals to pursue all leads on specific high-priority threats. "We must follow the leads that we get, and we must pursue them until plots are disrupted. And that means assigning clear lines of responsibility," he said. Second, intelligence reports will be distributed more widely and quickly, he added. Third, Director of National Intelligence Dennis Blair will overhaul current intelligence analysis efforts. Fourth, the government will strengthen the criteria used to add people to its terrorist watch lists, particularly the no-fly list. "Taken together, these reforms will improve the intelligence community's ability to collect, share, integrate, analyze and act on intelligence swiftly and effectively," Obama said. Obama noted, however, that most airports in the world and in the United States do not have the technology necessary to detect the explosives used in the botched attack. "There's no silver bullet to securing the thousands of flights into America each day, domestic and international," he warned. Obama said he was directing the Homeland Security Department to improve international partnerships to improve aviation security and boost screening at airports around the world. The Department of Energy will work to develop better screening technology, he said. Obama also said he was establishing accountability reviews for national security and intelligence agencies. His national security adviser, John Brennan, will report to him every 30 days on the reviews, he said. What do you think about Obama's speech? Americans will feel "a certain shock" after reading Thursday's report , White House National Security Adviser James Jones told USA Today. "We know what happened, we know what didn't happen, and we know how to fix it," Jones said. "That should be an encouraging aspect. We don't have to reinvent anything to make sure it doesn't happen again." John Negroponte, former director of national intelligence, said it's always easier to piece things together in retrospect. "There's always a lot of noise in the system, and then you've got to sort out from that noise the signals that are really important. And sometimes, we fail to do that," he said on CNN's "American Morning." "My suspicion in this case is that there wasn't necessarily that much information and that there was quite a bit of ambiguity in whatever was available. In retrospect, it probably looks like we should have been able to figure out what happened," he said. Negroponte said that what interests him is whether the attempted attack is a part of a larger plot. "I think the important thing right now is that we get as much information from his as we can," he said. AbdulMutallab is scheduled to make his first court appearance Friday. On Wednesday, a federal grand jury indicted him on charges of attempted use of a weapon of mass destruction; attempted murder within the special aircraft jurisdiction of the United States; willful attempt to destroy and wreck an aircraft within the special aircraft jurisdiction of the United States; willfully placing a destructive device in, upon and in proximity to an aircraft within the special aircraft jurisdiction of the United States; and two counts of possession of a firearm/destructive in furtherance of a crime of violence. Mostly Republican critics have said AbdulMutallab should have been subjected to military interrogation rather than receiving the rights of a defendant in the U.S. criminal justice system. CNN's Ed Henry contributed to this report.